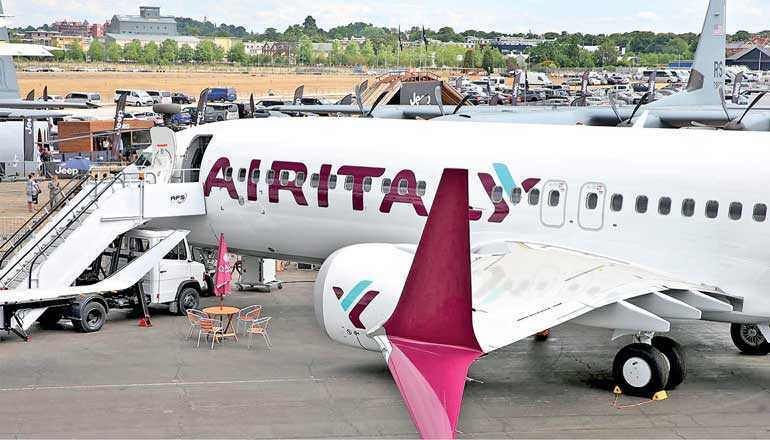 Air Italy showcased its brand-new Boeing 737 MAX 8 aircraft in the airline’s new livery for the first time at Farnborough International Airshow 2018. The aircraft was delivered to the airline just last week and flew straight to the airshow for spectators to tour and experience first-hand. Qatar Airways Group Chief Executive Akbar Al Baker and Sultan Ali Allana of Alisarda and AKFED visited the Air Italy aircraft at Farnborough International Airshow. Air Italy’s Chief Customer Experience Officer,. Rossen Dimitrov, showcased Air Italy’s revamped product, menu, amenities and service offerings to Al Baker and Allana on board.